I’m not sure if it’s just me (I’m really hoping it’s not! ), but every time I make icing for a cake, I always muck it up. Instead of following a recipe (which would be the smart thing to do) I just add ingredients into a bowl and end up with a mixture that is either too soft and runny or a hard dry mess. It’s then a balancing act of adding more water or icing sugar (in most cases both) to end up with an icing I can actually use. So I’ve decided to try and follow a recipe, and have used the one my Mum makes. 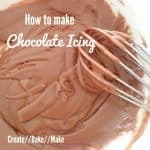 If you follow this recipe, you will end up with the perfect chocolate icing every time. 2 tablespoons of boiling water. Sift together the coca and icing sugar mixture into a small bowl. Add the softened butter and pour the boiling water directly over the butter. Using a small whisk, combine all ingredients until mixture is smooth. 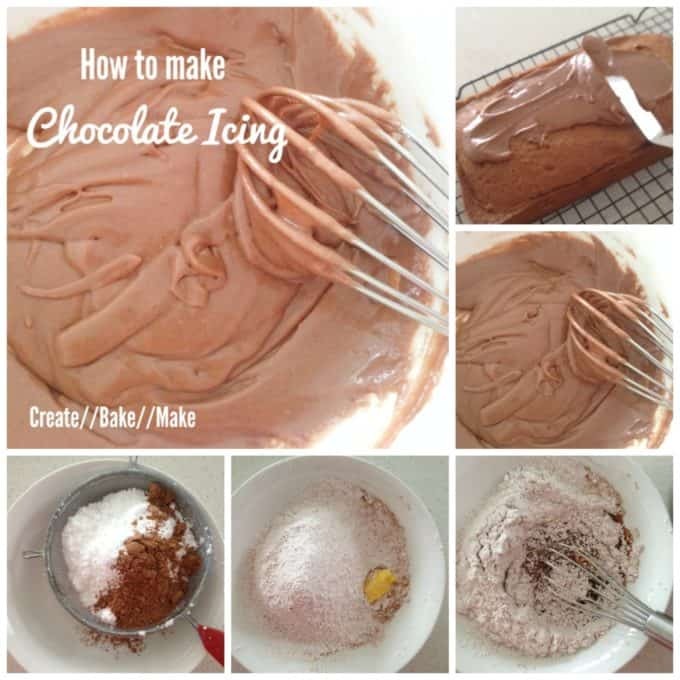 Use a spatula to then ice your cake with this yummy (and perfect) icing! Note: If for some reason your icing is still a little thick, add an extra half a teaspoon of boiling water. 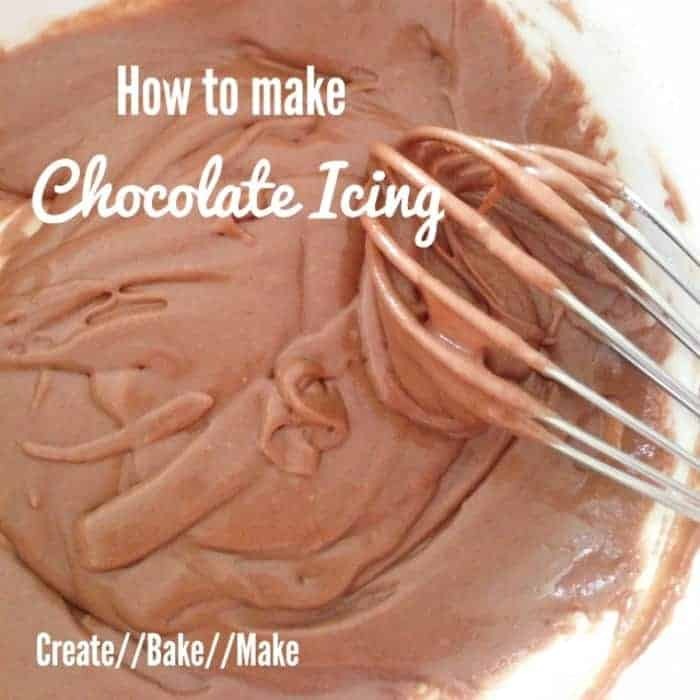 Generously spread this icing over your favourite cake, cupcake or slice. Thanks! I don’t know how many times I have tried to make icing and messed it up! I think I need to print this recipe and give it to my husband! I make the cakes, and he makes the icing in this household. The kids love it, but I can’t eat his icing – it tastes like I’m eating sugar out of the container lol. Yours looks super yummy! This post has made me so glad to find out I’m not the only one!